The first lampwork e-Book out of the Mutperlen-factory. This tutorial was created in colaboration between Angela Meier and Iris Hörler. 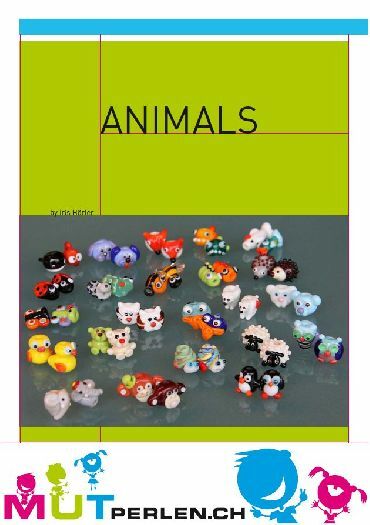 It contains instructions for making simple little animal beads.On 20 pages learn step-by-step how to make the cute little animals. Also very helpfull for making beads for "beads of courage"